Our Louisiana genealogists are available to research on location. They will find and analyze the best records available to further your family history research. They can search the archives and libraries in Louisiana, as well as help you with other special requests. Our researchers are available to visit local archives and libraries to access unique record collections to help with your research. Below is a list of a few of the archives our Louisiana researchers have access to. The Louisiana State Archives are the perfect location for researching the history of the state and its people. It contains government records and private articles donated by citizens. The Research Library holds over 30,000 cubic feet of records, as well as books that cover general histories, census indexes, immigration schedules, church records, and family history. Some of the most sought after information at the archive are passenger manifestations from the Port of New Orleans and pension requests from Confederate soldiers of the Civil War. The State Library of Louisiana holds a comprehensive collection of Louisiana materials and records with records on genealogical information. Their collection includes census records for the southeastern United States, ship passenger lists for the Port of New Orleans, and microfilm that holds military information as well as parish registers. They have family histories and genealogies from Louisiana and other southeastern states. The Louisiana Genealogical and Historical Society was founded in 1953 “to collect, preserve, and make available genealogical and historical materials; to assist its members in tracing their ancestry; to ascertain the location of public and private records, that they may be made available to students of genealogy; and to aid in investigations of this nature.” They are the home of information of the First Families of Louisiana registry, which acknowledges those families who settled in the Louisiana area before the Louisiana Purchase in 1803. Founded in 1835, the Louisiana Historical Society is the oldest historical organization in the state. The society holds records from the colonial period in Louisiana, including Spanish and French records from before the Louisiana Purchase. These include the French Superior Council records and the Spanish Judicial Records of the Illustrious Cabildo (a local governing body). The society also created a museum to hold their colonial archives and thousands of other documents, paintings, and prints. Founded in 1889, The Louisiana Historical Association (LHA) is a diverse group of individuals who strive to collect Louisiana history. The group includes academics and non-academics, including historians, genealogists, and even college students. The society publishes most of its findings and information on a top-state historical journal called Louisiana History. Issues contain primary source material, book reviews, biographical sketches, and more. The Louisiana Historical Association has many genealogical records including history of Louisiana, with particular emphasis on territorial, statehood, and the American Civil War periods to the late 19th and 20th centuries. The Historic New Orleans Collection is located in the Williams Research Center. Our Louisiana genealogists can examine over 30,000 items and more than two miles worth of documents and manuscripts here. The collection focuses on the history of colonial Louisiana, the Battle of New Orleans, the Civil War, and life on the Mississippi River and plantations. The Louisiana State Museum’s Historical Center houses records that were written before and after the Louisiana Purchase. These include judicial records such as the French Superior Council (1714-1769) and the Spanish Judiciary (1769-1803), and records regarding information on slaves that lived in the state. The information on slaves kept in the area not only includes African American slaves, but also slaves of Native American heritage who petitioned the local Spanish government for their freedom. The Hill Memorial Library holds the Louisiana and Lower Mississippi Valley Collections (LLMVC), which contains a variety of different materials that all focus on the history and culture of the Louisiana area as well as the Lower Mississippi Valley. The library’s collection contains over 10 million items, and while the main focus is in the Louisiana area, it also holds records from outside of the area. The Howard-Tilton Memorial Library contains an abundance of archival items and historical newspapers such as the Records of Ante-Bellum Plantations Collection and archives of the student newspaper “The Tulane Hullabaloo,” and the “Times-Picayune”, a newspaper run in New Orleans since 1837. Louisiana State University’s Middleton Library holds government records in their collection including federal government publications since 1907. They also have archives of 20th century Louisiana newspapers. The Cammie G Henry Research Center of the Northwestern State University of Louisiana is named after Carmelite “Cammie” Garrett Henry who collected Louisiana documents, as well as rare fictional and nonfictional books. The archives hold more than 3,000 maps from the early colonial period of the state to the present, as well as original issues of Louisiana newspapers. Sate documents, including books, journals, newsletters, reports, etc. To access microfilm indexes for Louisiana Newspapers, visit the LSU Libraries Special Collections page. The Sims Memorial Library maintains numerous databases for Louisiana genealogists to search for your specific family history needs. These databases include biography and obituary indexes, state archives, vital records, newspaper projects, war resources, and more. Let our expert Louisiana genealogists search this location for you and get a quote. In the center of the University of Southwestern Louisiana, the Edith Garland Dupré library has resources for all of the United States, but its genealogical focus is largely on the Acadiana region of Louisiana. The collections at this library include university archives and manuscripts, a rare book collection, a music collection, and more. The New Orleans Public Library has a detailed page of local resources for New Orleans and Louisiana genealogical research.On the page, you will find connections to obituaries, burial records, a Confederate pension applications index database, county formation and census maps, and much more. The Winn Parish Archives contain databases with records on births, marriages, and deaths of the Winn Parish. The Winn Parish welcomes researchers to find on location help at certain locations in Winnfield, including the Winn Parish courthouse, the Winnfield Family History center, the political museum, and the WPGHA Book room. The Orleans Parish Notarial Archives contain records dating back to 1735. Founded in 1998, the archive aims to supervise, maintain, and preserve records. Before the Louisiana purchase in 1803, colonists wrote records in French or Spanish. Not until later did notaries start recording documents in English. 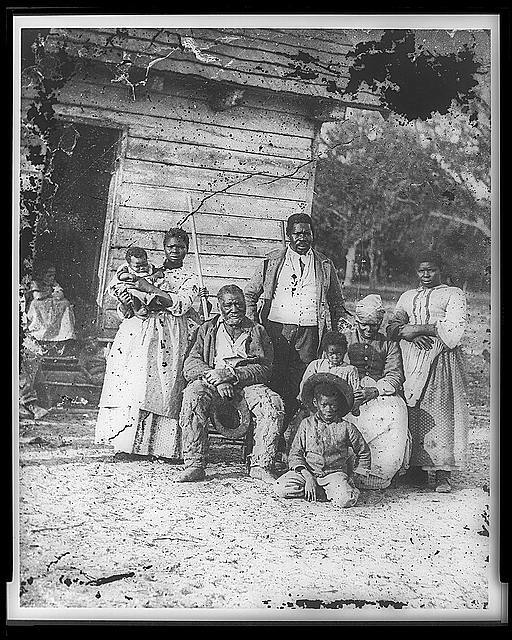 There are several databases and archives in Louisiana devoted to African American genealogy records in Louisiana. One genealogical site is the African American Resource Center at the New Orleans Public Library. As described in their mission statement, they are “dedicated to cultivating, educating, preserving, and providing access to resources describing people of African descent.” In addition to their archives and specialized books focusing on African genealogy, they also display several exhibits that educate the public about the study of people of African descent. The Amistad Research Center can be found on the campus of Tulane University. It was founded to “document race relations and America’s racial and ethnic heritage.” Their collections focus on civil rights movements and the records of several minority groups, not just African Americans. Groups included are Native Americans, African Americans, Latinos, Asian Americans, and the LGBTQ community. Their collection contains over 20,000 books and pamphlets as well as texts by authors of color. For more information and resources about Native American genealogy, please refer to our Native American Genealogy page. Cajuns, also known as Louisiana French or Acadians, are are an ethnic group living in the state of Louisiana and some parts of Canada. Acadians date back to the late 17th century when French colonists settled in lower Louisiana. For researcher looking for information about this people, our Louisiana genealogists can search the Edith Garland Dupré library. This library’s genealogical focus is largely on the Acadiana region of Louisiana. To find more in-depth information and resources concerning Cajun/Acadian genealogy, please see our Cajun Genealogy Specialty page. The National Archives at Fort Worth, Texas, also include several articles on genealogical information from Louisiana. We have researchers on the ground in Texas to examine these archives as well. The records located here have federal censuses from Arkansas, Louisiana, Oklahoma, and Texas from 1790 to 1930. Other areas of focus include westward expansion, the Civil War and the Reconstruction Period, and information on the Five Civilized Tribes (Cherokees, Choctaws, Chickasaws, Creeks, and Seminoles). Our genealogists specialize in researching all different types of documentation, and the list above is only a small sample of what they can help you with.